A battle royale is expected to take place this weekend as Porsche and Ferrari go head to head for the FIA World Endurance Championship GTE honours in Bahrain. Both the Pro and Am drivers’ and teams’ championships are still up for grabs, while four points separate Porsche and Ferrari at the head of the manufacturers’ table. But the added variable of a Balance of Performance adjustment for Aston Martin should mix up the order, setting the scene for an unpredictable season finale. 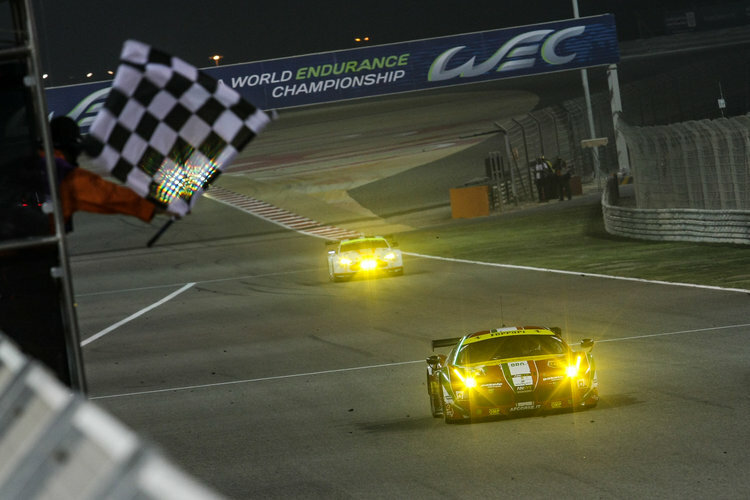 AF Corse has won each edition of the 6 Hours of Bahrain since it first arrived on the FIA WEC calendar in the inaugural 2012 season, with Gianmaria Bruni having a hand in all three of the Italian team’s successes. Last year the Ferrari 458 Italias battled the Aston Martins for victory, with Bruni and Toni Vilander beating the #97 car of Darren Turner and Stefan Mucke by the narrow margin of 1.8 seconds. Aston Martin Racing did win the Am class tussle, however, as the ‘Dane Train’ #95 entry recorded its second 6 Hours of Bahrain win in a row. While Aston Martin may have drifted away from the other manufacturers in this year’s title race, the British marque should be closer to Ferrari and Porsche in Bahrain after a recent set of Balance of Performance tweaks were imposed by the ACO. 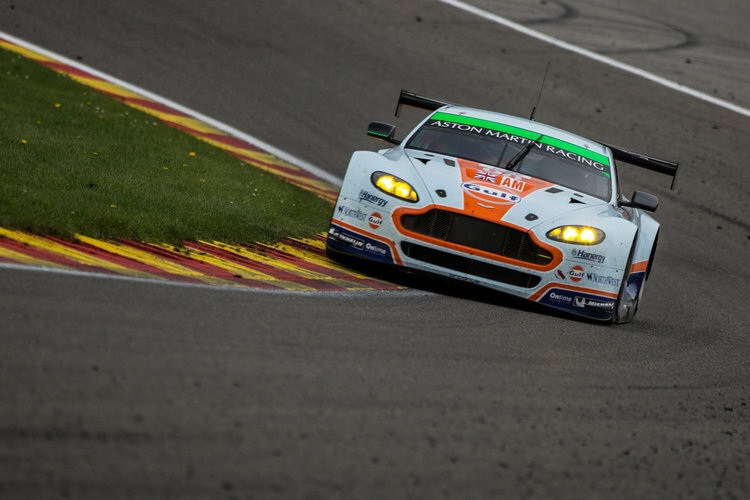 Aston Martin Racing withdrew its #95 Pro car from the 6 Hours of Shanghai in protest at the Vantage’s noncompetitive streak in the BoP setting from rounds four to seven, but now all five cars are back with a 15 kg weight reduction and a restrictor diameter increase of 0.3 mm in place. This brings the fleet of Astons back in line with the pre-Nurburgring setup, which helped the team to class victories at Silverstone and Spa. Porsche has the lead in the all-important manufacturers’ title race, although the four point margin to sporting rival Ferrari (259 to 255) means that the situation is far from concrete. Porsche is generally weaker at Bahrain International Circuit than the other GT manufacturers, while Ferrari has never lost there in GTE Pro, so this record could be a determining factor on Saturday evening. However, the championship’s reputation for close-quarters GT racing should make this duel one of the key talking points right up to the chequered flag. As for the class battles, just seven points separate the top three teams in the GTE Pro points standings heading into the final round. 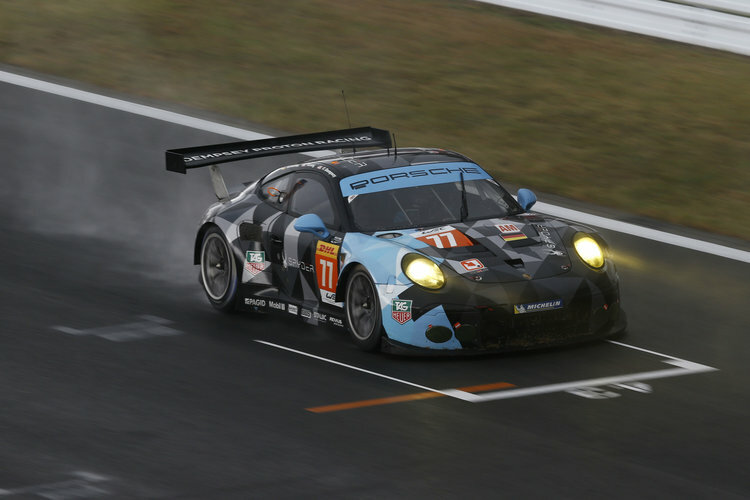 The #91 Porsche 911 RSR of Richard Lietz and Michael Christensen extended its lead over the #51 Bruni/Vilander Ferrari with a victory in China, while a fourth place finish for the sister #71 Ferrari of James Calado and Davide Rigon has dropped the pair to third in the standings. A fourth place finish for the #91 car will seal the teams’ championship for Porsche regardless of how the Ferraris fare. Austrian driver Lietz is also in a prime position to clinch the GT drivers’ championship this weekend as he enjoys a healthy 18 point cushion over his team-mate Christensen, although Christensen cannot overtake him. Rigon and Calado are third overall, two points behind the Dane, and can still win the championship if the #911 Porsche endures a nightmarish weekend and their Ferrari finishes in the top two (with pole position). 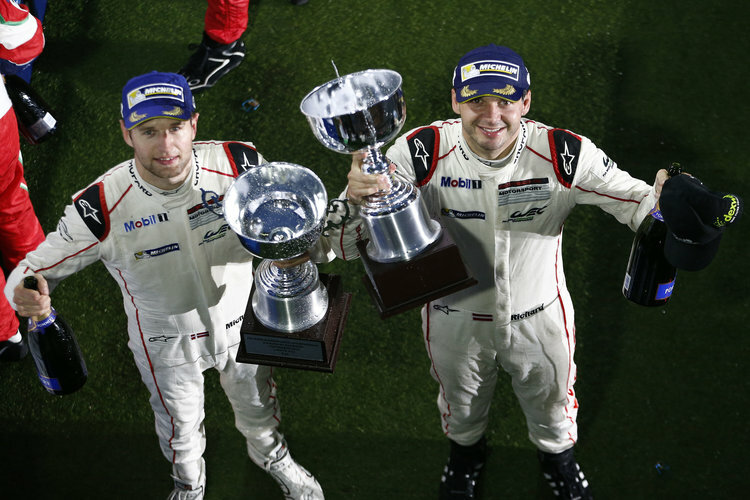 Reigning world champions Bruni and Vilander can still retain their GT drivers’ title, but they will have to win the race and rely on misfortune for both the leading Porsche and their sister Ferrari in order to seal the trophy. In GTE-Am, the odds are very much in favour of Russian outfit SMP Racing which currently holds a strong 19 point advantage over the #83 AF Corse Ferrari. 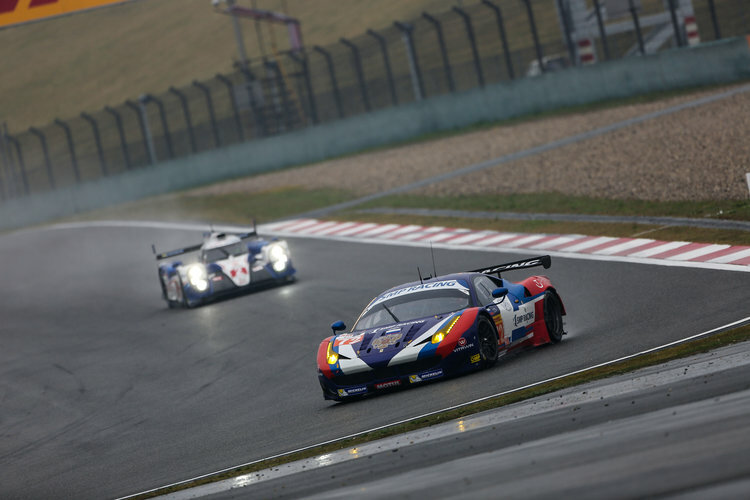 Aleksey Basov, Victor Shaytar and Andrea Bertolini may have slipped up with a sixth place finish at Fuji, but a podium in China ensured their status at the top of the teams’ standings. The trio can also win the GTE-Am drivers’ title this weekend, with the same points margin to be played against the AF Corse crew of Emmanuel Collard, Rui Aguas and Francois Perrodo. SMP Racing will win the championship with sixth in class or better – a feat that is well within the abilities of a team that has averaged a 2.5th place finish over the first seven rounds. Aston Martin Racing may have dropped away from the championship fight, but the #98 team of Paul Dalla Lana, Pedro Lamy and Mathias Lauda can still claim third in the Am category with a good result in Bahrain. Two points separate the Silverstone and Spa-winning car from the Dempsey Proton Racing Porsche 911 of Patrick Long, Marco Mapelli and Marco Seefried, so this will be a battle to keep an eye on if the duel between the top-two entries fizzles out. Despite only finishing fifth in class at Shanghai, the Larbre Compétition Corvette C7.R will also be one to watch after its pre-Fuji BoP adjustments brought it within podium capability at the previous two rounds. In team news, Roald Goethe will return to the #96 Aston Martin Am squad after being replaced by Liam Griffin in Japan and China. Similarly, Danish driver Kristian Poulsen comes back after a two race absence in the Larbre Corvette that was filled by Nicolai Sylvest. Another alteration within the Am ranks concerns Abu Dhabi Proton Racing, which is reshuffling its team slightly this weekend. Christian Ried will step down for Italy’s Marco Mapelli, who impressed on his cameo appearances for the same team in the European Le Mans Series this year, as Ried moves over to the Dempsey Proton Racing Porsche in place of Patrick Dempsey. This weekend’s race will be supported for the first time by the GP2 and GP3 Series, as well as the Porsche Carrera Cup GT3 Challenge and MRF Challenge for Dallara Formula 2000 cars. Richie Stanaway will be performing double duty this weekend, representing the #99 Aston Martin in GTE Pro, as well as Canadian GP2 squad Status Grand Prix. Furthermore, three GP2 drivers will be taking part in Sunday’s FIA WEC rookie test on Sunday. New Zealander Mitch Evans will get behind the wheel of a Porsche 919 Hybrid, while Alex Lynn will tackle Toyota TS040. GT ace Stanaway is also scheduled to appear at the test, driving an Audi R-18 etron quattro.